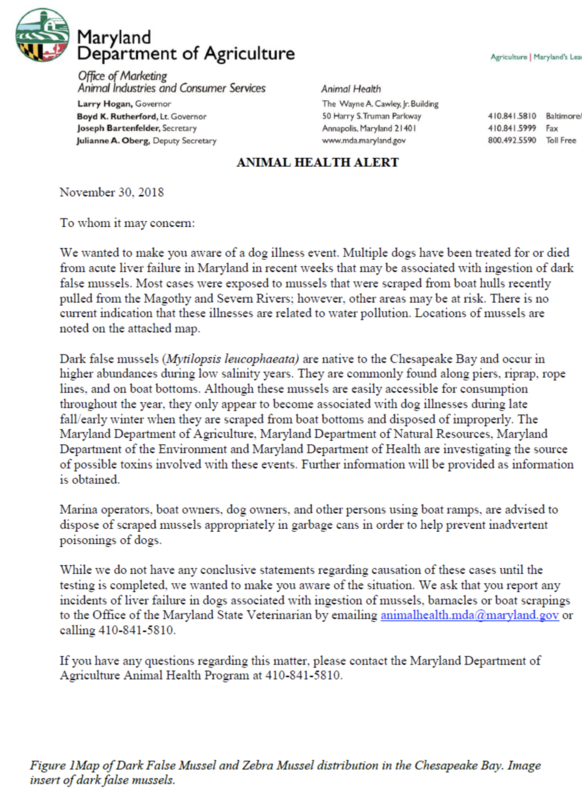 If you live in the Maryland area and have a dog who loves to go boating with you, please make sure you are aware of a recent notification from the Maryland Department of Agriculture. There have been recent dog illnesses – specifically liver failure – from dogs ingesting Dark False Mussel. 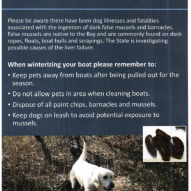 For dog owners, boat owners, marina operators, please make sure that if you are removing mussels from boats, please make sure to dispose of them properly. 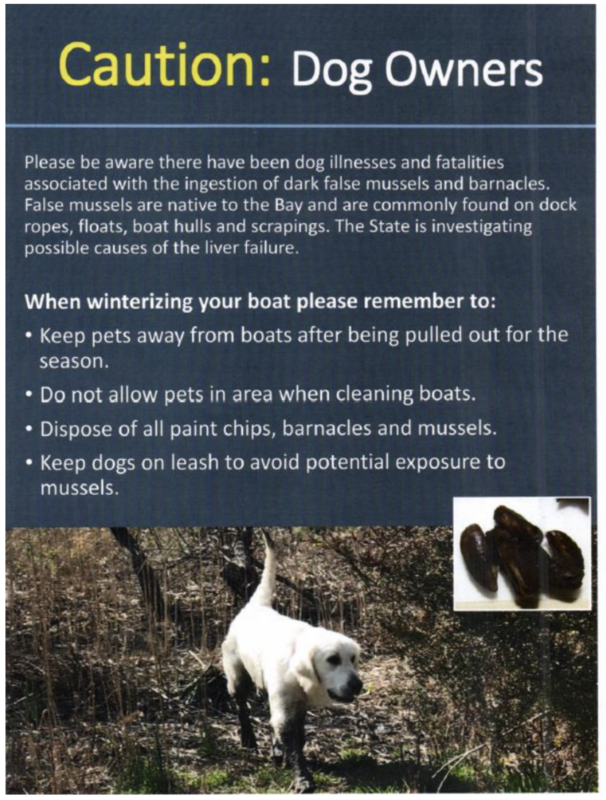 If you think your dog ingested any of these Dark False Mussels, please seek veterinary attention immediately (even in the middle of the night). Please contact the ASPCA Animal Poison Control Center at (888) 426-4435 for life saving advice. Please note a small fee ($65) is associated with this non-profit animal poison control center, but that includes all follow up and consultation/advice with your veterinarian. What if your dog is affected? How do we treat this? Treatment may include decontamination (e.g., inducing vomiting or gastric lavage, administration of activated charcoal to bind the poison), IV fluids, anti-vomiting medication (e.g., ondansetron, etc. ), blood work monitoring, Vitamin K1 therapy (if clotting tests are abnormal), hepatic protectants (e.g., SAMe, N-acetylcysteine), and possibly plasma transfusions. The sooner you seek veterinary attention, the sooner we can treat it and the less damage to your dog’s liver.